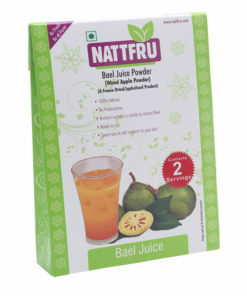 Taste the real Bael fruit juice powder! 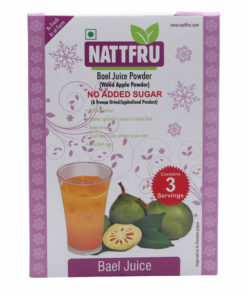 This is a super food unique Bael excellence in the dehydrated powered form. 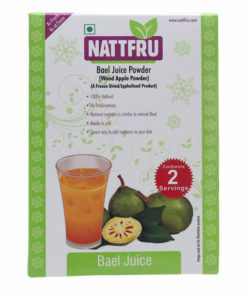 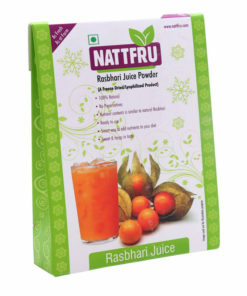 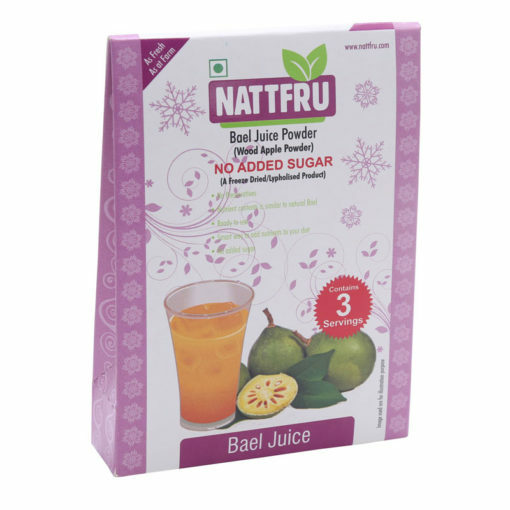 It retains the taste, flavor and richness of fresh bael available in powdered form. 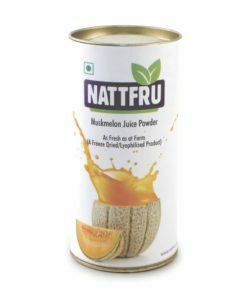 All you need to do is just add some water, there you are! 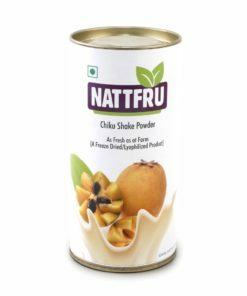 This yummy goodness can be used to whiz up the deserts or used in good old sherbets or anything really. 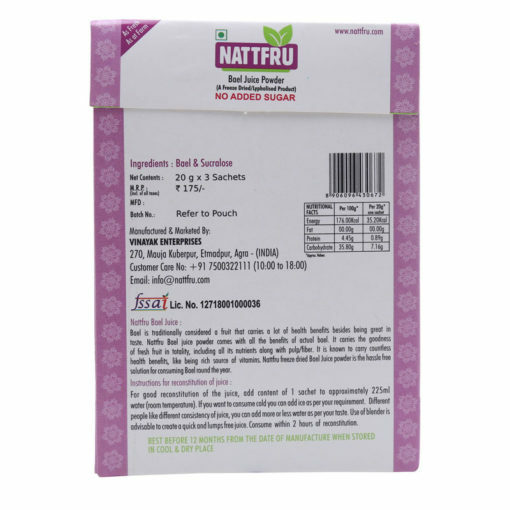 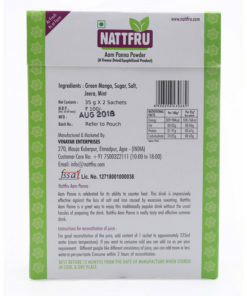 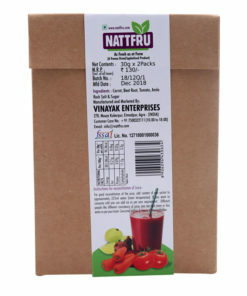 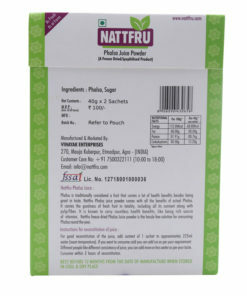 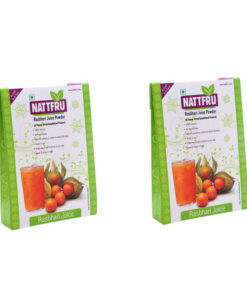 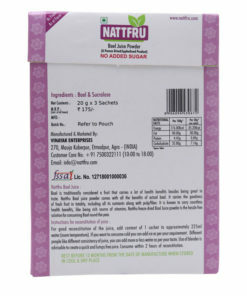 Nattfru guarantees that these products are 100% natural and doesn’t contains any type of preservatives like other available products. 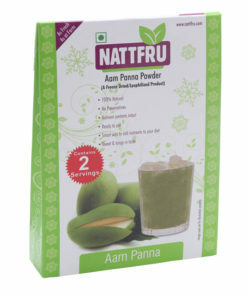 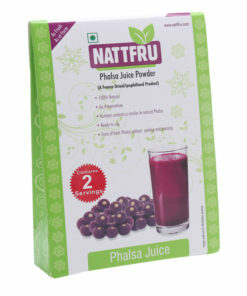 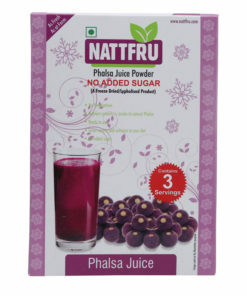 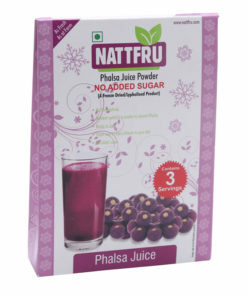 Quite literally this is real fruit itself and great health boosting addition to your pantry just like any fresh fruit. 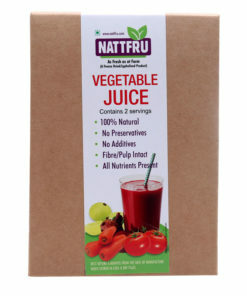 This is great in nutrition, tastes wonderful and doesn’t have any added sugars or preservatives so your kids can enjoy it too. 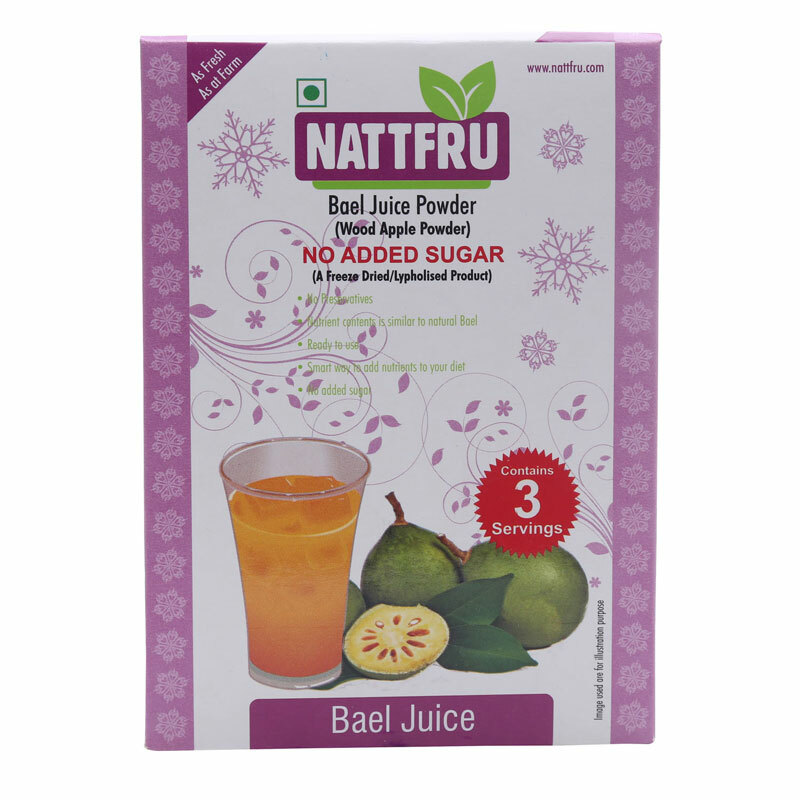 A must have for any Bael lover! 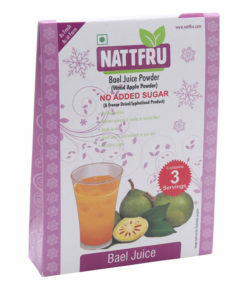 This is the real bael.